Ok, all you ladies out there love a little glow right? I mean who doesn’t look better with a little bit of sun? Now I’m not talking Oompa Loompa here but just a good sunkissed glow. Well, I certainly do! The great thing with self tanners is you can keep re-applying if you want more color, minus the skin damage. Nowadays, there’s a lot more to choose from in the organic self tanner department then in the past. I’m sure you’ve seen all the mainstream lines toting their self tanners but what they don’t tell you is all the chemicals added to them. No, I don’t want a side of parabens, dyes, synthetic fragrance and many other unmentionables in my self tanner. Let’s keep it pure people! Well, thankfully there is a healthy alternative and it actually works too. I am a devotee of Lavera’s self tanner. It’s been one of my natural staples since going green. Not only does it give you a glow but an amazing color to boot. I don’t know how many times people have said you’re glowing and as much as I would love to take the credit, it’s really Lavera. (But let’s let them think what they want.) I was out for a while and I felt naked without it. It makes everything look better, from foundation, to concealer…in fact I feel I don’t even have to wear foundation when I’m wearing it because it makes all my splotchies (wait is that a word?) on my face disappear. 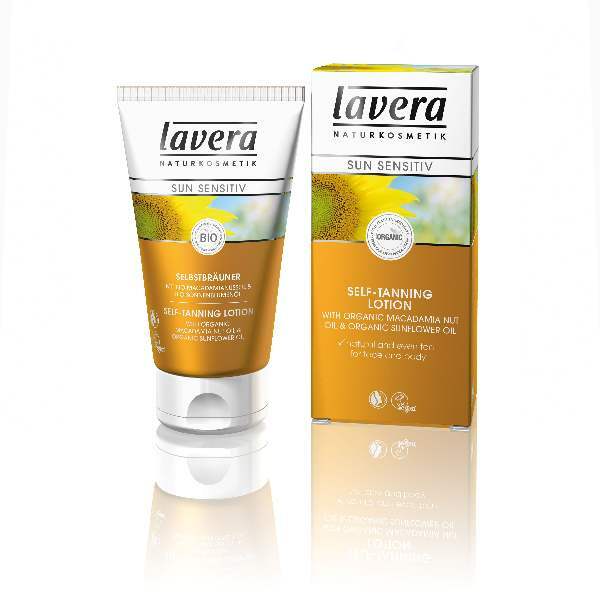 Anyways, I’ve tried many others and I must say nothing is quite like Lavera in terms of performance and ingredients. What I love is that they don’t use soy in their products, unlike many natural self tanners I’ve found. I get it, soy is cheap but usually it’s genetically modified if it’s not organic and if it is who wants to be rubbing soy on their skin all the time? Soy basically can produce more estrogen in the body because it has phytoestrogens (Isoflavone) in it that imitate the hormone. And with all the breast cancer and cancer in general I just stay clear of any additional estrogen producers. Lavera (your first order you get 20%off). So good to know:) Thanks for the tips! © 2017 - GURL GONE GREEN. All Rights Reserved.